Triad’s legendary home theater sound and high build quality are now available in a more modest price range with the new InRoom Bronze Center. 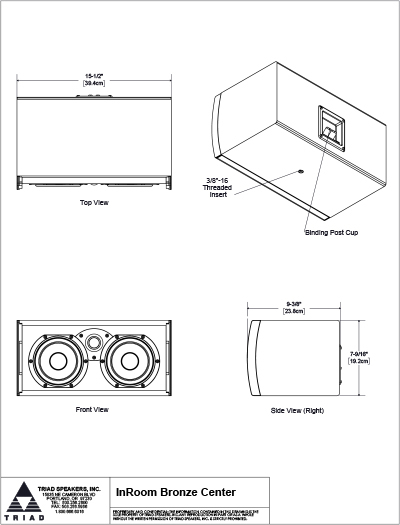 When used with the InRoom Bronze LCR or Triad’s new InRoom Bronze LR-H Dolby Atmos speakers, the InRoom Bronze Center channel speaker becomes the heart of a superb home theater speaker system at a reasonable cost. The InRoom Bronze Center has excellent detail and voice intelligibility to enhance your movie watching experience. 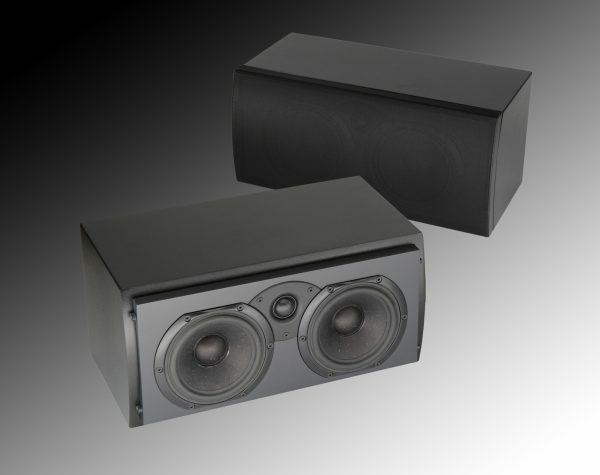 Although it’s priced like more ordinary home theater speakers, the InRoom Bronze Center channel speaker is still built one at a time in America and features premium drivers and an enclosure as solid as a bank vault. An unlimited array of custom veneer finishes and custom paint matching are available to blend with your environment. Designed to be used with the Bronze LCR’s or Bronze LR-H’s.